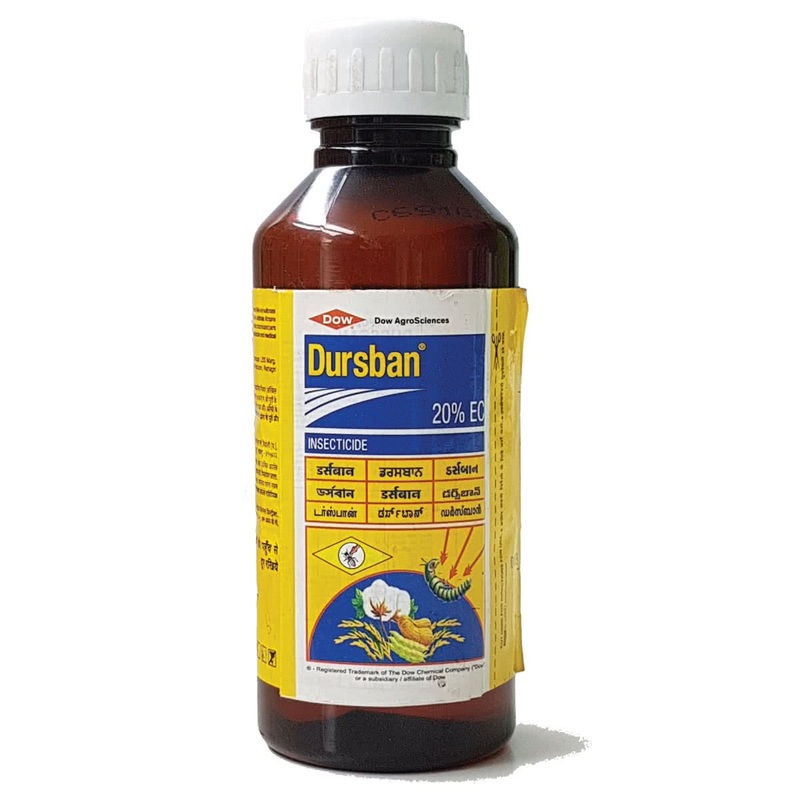 Dursban controls insects and pests such as the White Flies, Aphids, Thrips, Fruit borer and Termites from Brinjal, Cauliflower, Pumpkin, Tomato and Cabbages. An effective liquid insecticide, 1-2 ml is mixed with 1 Litre of water and sprayed to the treated plants. This easy-to-use product is fast acting and can be used for both indoor and outdoor purposes.